In Italian, the word “biscotto” means “biscuit” or “cookie.” More specifically, biscotti are named according to their original method of baking. The root words “bis” and “cotto” literally mean “twice” and “baked.” When Italians first created biscotti in the region of Tuscany many centuries ago, they were careful to bake the cookies twice, in order to allow the cookies to develop their signature crisp texture. Over the years, these methods became standard practice. Bakers shape the dough into a log, bake it, evenly slice it into cookies and then bake the cookies again. 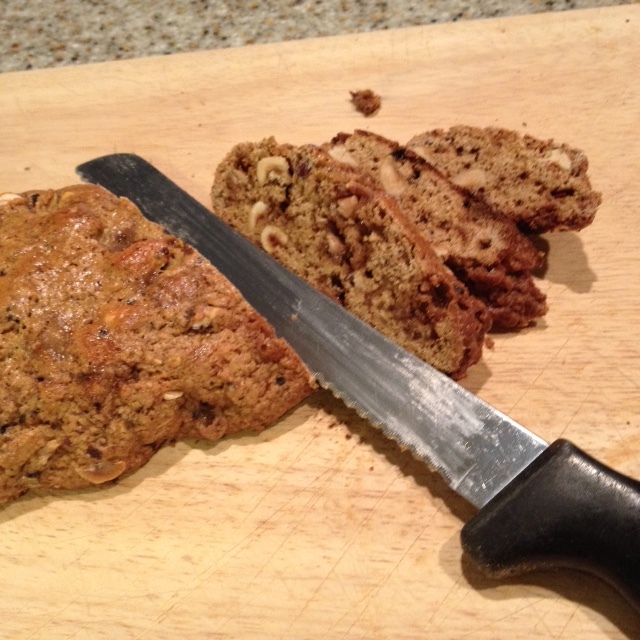 The first biscotti were made as a portable and durable food for Roman soldiers and travelers. They were made with traditional almond flavoring during the Renaissance and, at the time, it was also popular to dip them in an Italian dessert wine called Vin Santo, a practice that remains common in Italy today. 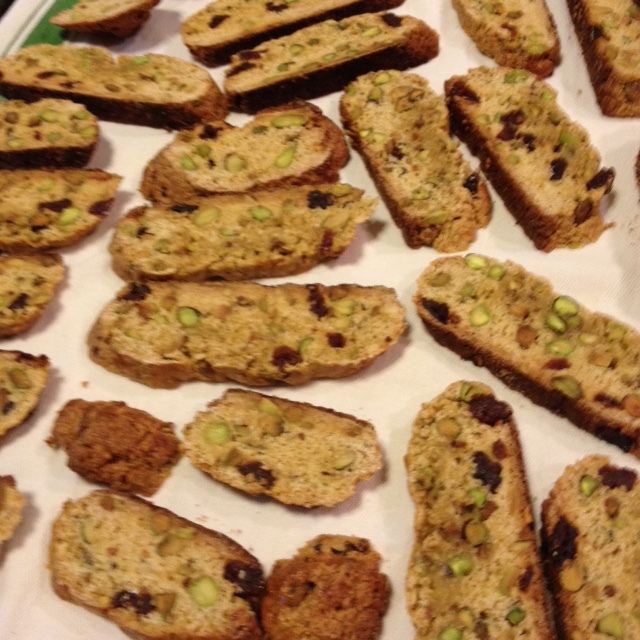 Many people outside of Italy prefer to dip biscotti in coffee or hot chocolate to soften them before eating them. The range of flavors that these cookies come in has also expanded hugely since their creation and can include walnuts, orange zest and anise. Some types are coated with icing or glazed with chocolate, but the most traditional ones do not have a frosting or coating. It’s relatively easy to bake these cookies. 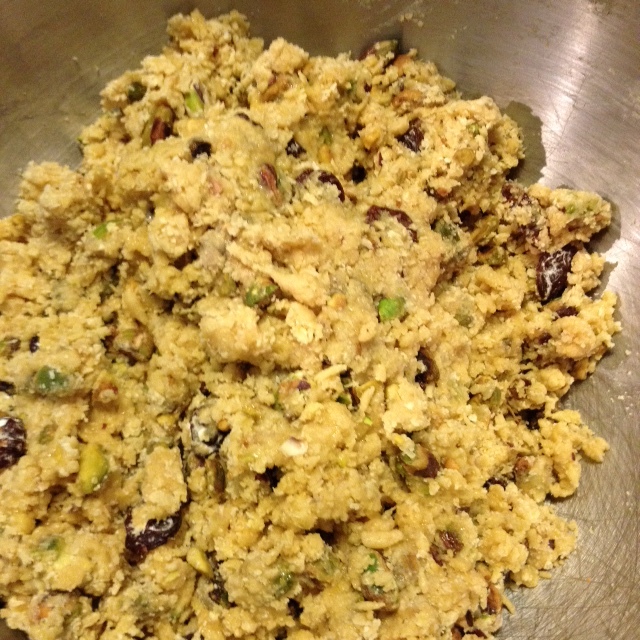 The basic recipe includes flour, sugar, eggs and sometimes butter or olive oil, along with nuts, spices or fruits. 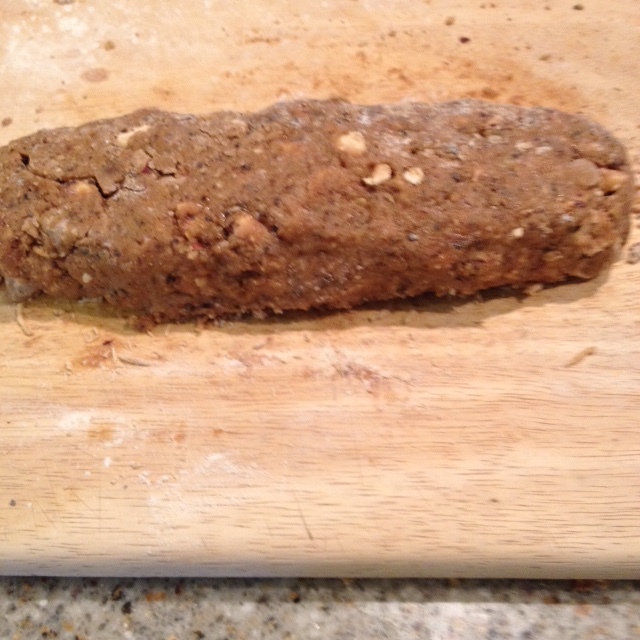 There is no one perfect way to make biscotti. Some recipes call for eggs only, which is the traditional method, while others include butter or oil. The choice is yours; just keep in mind that those made with butter or oil will have both a softer texture and a shorter shelf life. Here are my two favorite recipes. 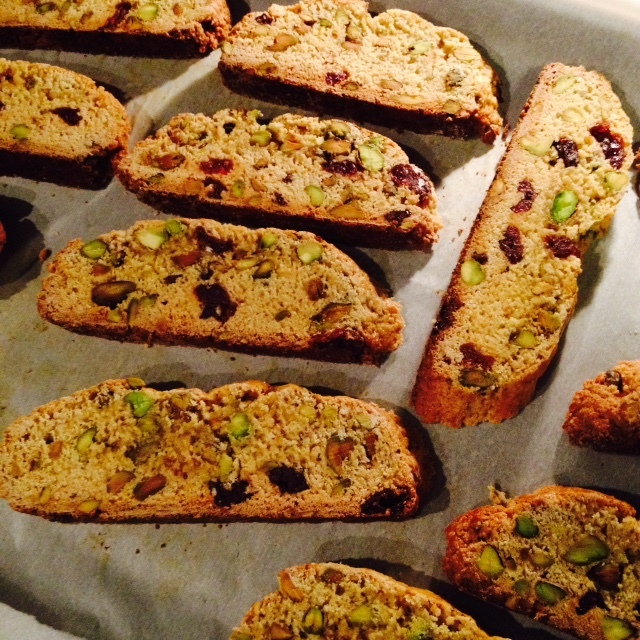 If you desire, you can turn off the oven and let the biscotti stay for up to an hour. The longer they stay in the oven, the harder they will become. Remove the pans from the oven and cool the biscotti completely before storing in an airtight container, preferably a tin, which helps keep them crisp. Stored properly, biscotti will last up to a month. This is great! 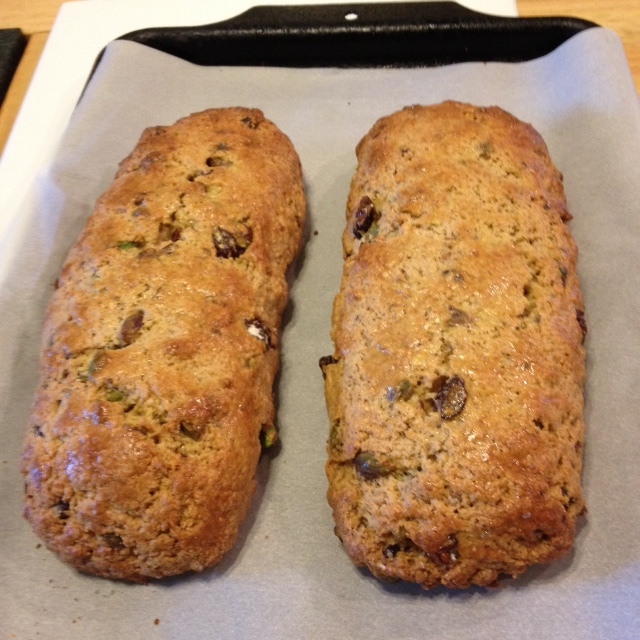 Two more biscotti recipes. 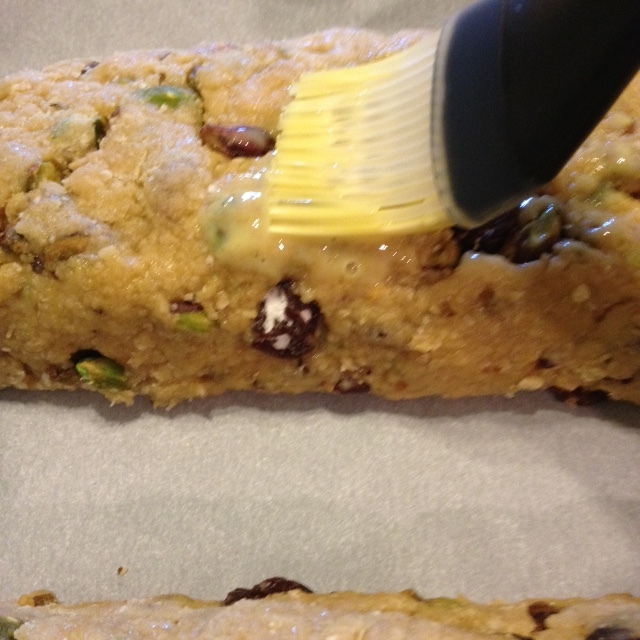 At Christmas time we make countless biscotti to give as gifts and we like to shake up the usual — thank you and your information, as usual, is right on. Buona Giornata. I am pinning and also making a print copy for our files. Thank you so much Marisa. I am so glad you like these recipes. 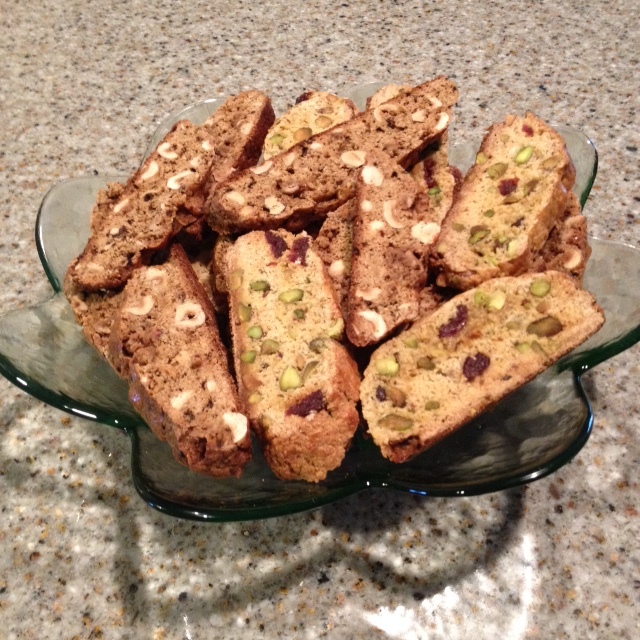 I love these, though I have always had biscotti with almonds. Yes, almonds are traditional but I like to experiment. Hope you like these as well. 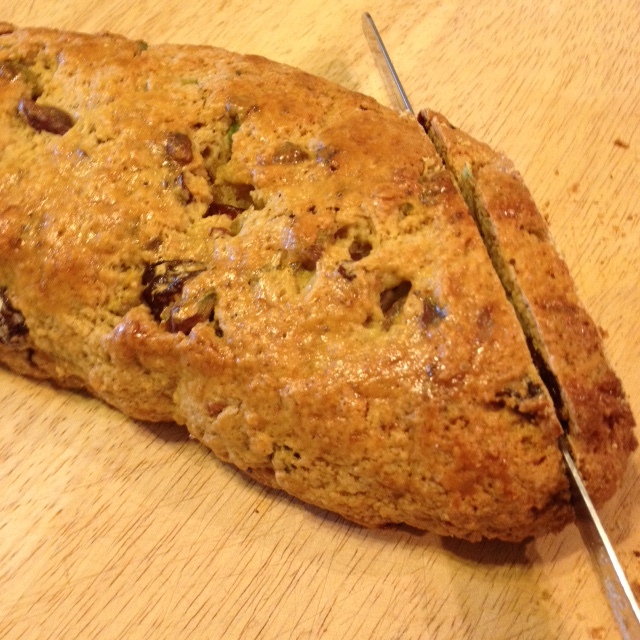 I’ve never made biscotti – all of these recipes look terrific. Something I have always wanted to make. And yet I had no idea they needed twice baking. But of course! How else would those slices become so toasty and crispy? 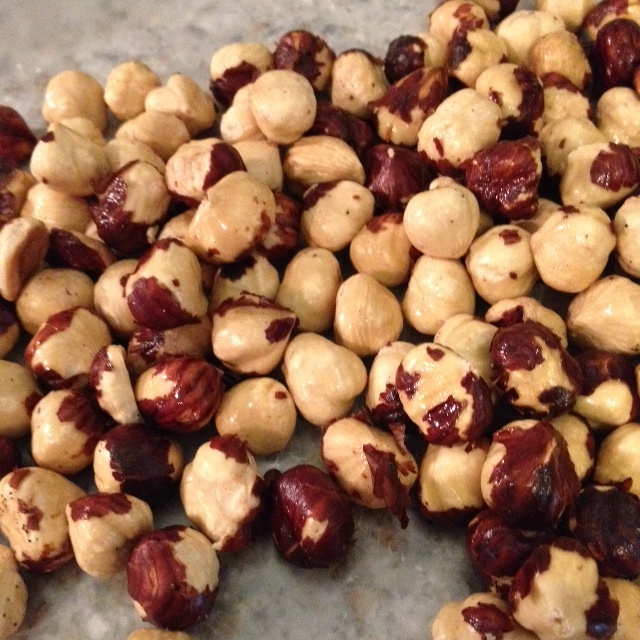 Sounds delicious with chocolate and hazelnuts. Thank you – yes the secret is twice baked. Give them a try.